We are the manufacturers of 100% Natural Indigo Plant. It is made from the Leaves of Indigo Plant, a sub-tropical shrub that stands 1 to 2 meters tall. 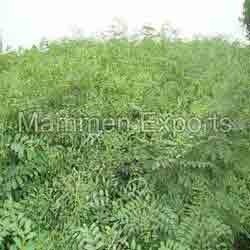 We offer Tephrosia Purpureathat are commonly known asFish Poison, Wild Indigo. These herbs aredigestible, anthelmintic, alexiteric, leprosy, ulcers, antipyretic, alternative, cures diseases of liver, spleen, heart, blood, tumours, asthma etc. these are also used in quickly relieving the dental pains and arrests bleeding. 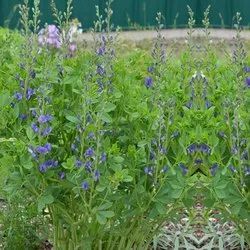 The Blue Wild Indigo (Baptisia australis) also known as Blue False Indigo, is a North American herbaceous perennial plant that was used by the Cherokee Indians to make a blue dye. Our indigo leaves are also used for making hair dye. - Botanical Name : Tephrosia Purpurea. Music System, Mineral Water, IceBox, Fire Extinguisher, Tissue Paper, Candies, News Paper etc.